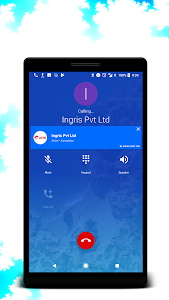 Indian Caller info application provides the flexibility to know the details of phone numbers. 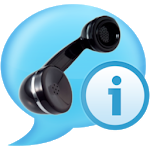 Only Caller Info Application in market to speak the caller Name/Number with Location and Operator. Please provide your suggestion and get credited here. Best Suited for Users in India. Calls From Mobile: State and Operator Name. Calls From Landline: State, City, District and Operator Name. Call Permission: This permission is needed to make a call from the application whenever user wants to. User can only make the call. There is noway that the application will call any number without user(or cellphone owner) interaction. ★ Information about the Caller. 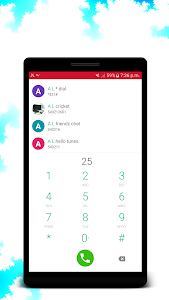 ★ Quick Actions: User can go to the popular messaging and calling apps with the help quick actions(Just a click away) from the Quickdial screen. Quick actions saves the user from hassle of searching contacts. 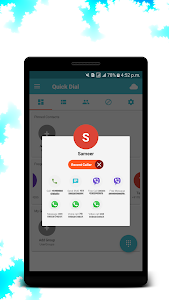 ★ QuickDail feature helps user to call the pinned numbers. 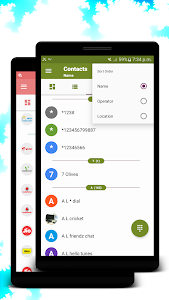 ★ Dialer with Contact Search. ★ Users can create groups and assign contact. ★ Speed dial feature added to dialpad. ★ Block the Tele-Callers as well as numbers and store the history of caller who were blocked. ★ Backup and Restore feature added for contacts. Users can backup contacts after logging in and restore them at anytime. ★ Search the STD code of any City in India. ★ Search the ISD code of Countries in World. ★ Added Transparent theme for the caller info. ★ Added a feature in which user will be able to know that how much time is left to receive the call. ★ Added an option to opt for the caller info for all number or for only unknown numbers. ★ Multiple themes are supported by application. 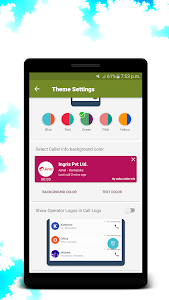 ★ Can change the Caller info Location in Call Screen as per user requirement. ★ Enable or Disable the Caller Information. ★ Search information about any Mobile or Land line Number. Note : The application is supports only the information for Indian Mobile/Land line Numbers.For now Mobile Number Portability and Service Number are not Supported. Note: Please MAIL us at [email protected] before giving 1 Star rating. This update contains only the changes which made application to be inline with the latest policies of google play. Similar to "Indian Caller Info"